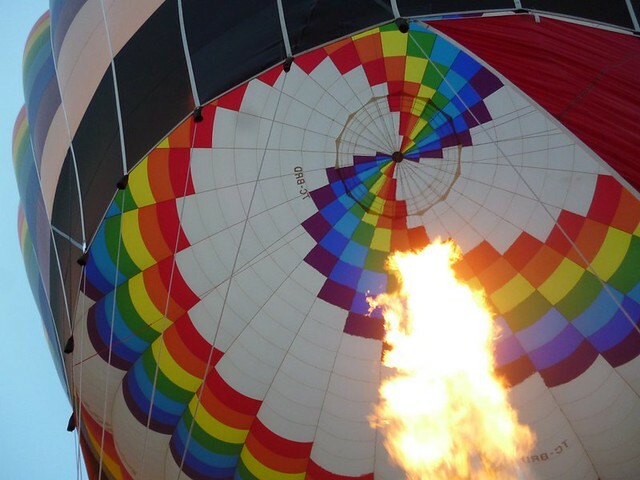 Today was the day of our hot air ballon ride. 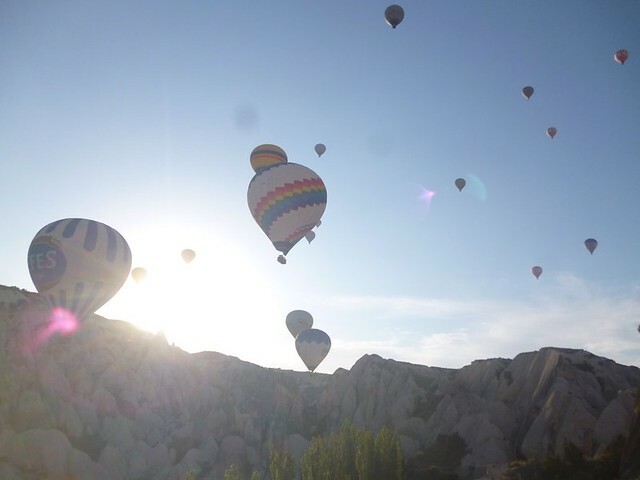 For me, it’d probably be the highlight of the trip to Cappadocia because HOT AIR BALLOON needs no reason. I set my alarm for 4:20 am since our itinerary said our balloon tour was from 5:00 am. About 2 minutes after I woke up, there was rude, loud banging at our door. Someone yelled that we need to come out. “I’ll come back in 10 minutes. Be ready in 5 minutes,” the man shouted back. “We told them 4. Next time, we’ll just leave without you,” he said and continued complaining about how we made the others wait. What on earth was that for? Thankfully, that was the only bad part to the morning. The rest of the trip was FANTASTIC. Before the trip, we were brought to Rainbow’s HQ for a small meal. At 5:00am, there wasn’t much that I could eat but I did nibble on a cookie and drank some of the coffee. Every one was divided into groups based on who their pilot was. Our was Arturo. 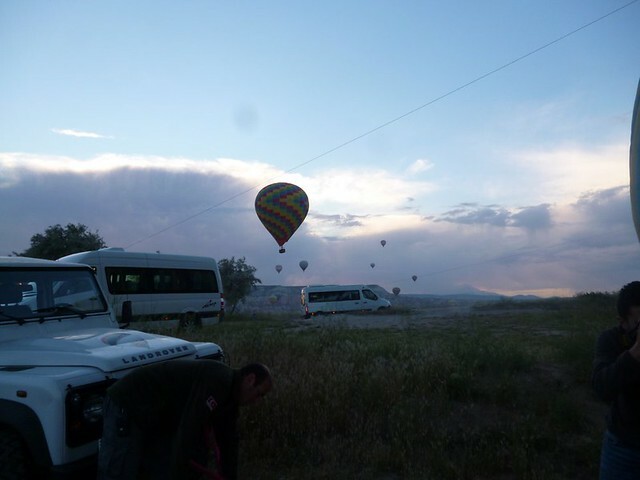 After our meal, we were shuttled to the site where the hot air balloons. Along the way, we didn’t see much hot air balloons that were up in the air. When we reached our spot, I was pleased to find that the balloons for Rainbow Balloons were the prettiest since they had a stripe with the colors of the rainbow spiralling up the white canvas. Our balloon was hot and ready for us. Instead of having to wait for our pilot to get the balloon pumped up, the balloon was already in the air when we reached. Everyone climbed into the basket which was divided into 5 sections. In the middle, there was a narrow section where the pilot and air traffic control person stood. On both sides of the narrow section, there were two baskets, each with a maximum of 5 passengers. When everyone was in, we were ready for take off. The pilot switched on his gigantic bunsen burner and we lifted slowly. It was still a little dark when we started flying. I peered at the ground and felt that it was pushing away from us. Soon we were mid-air and it was amazing to see the place from the top. 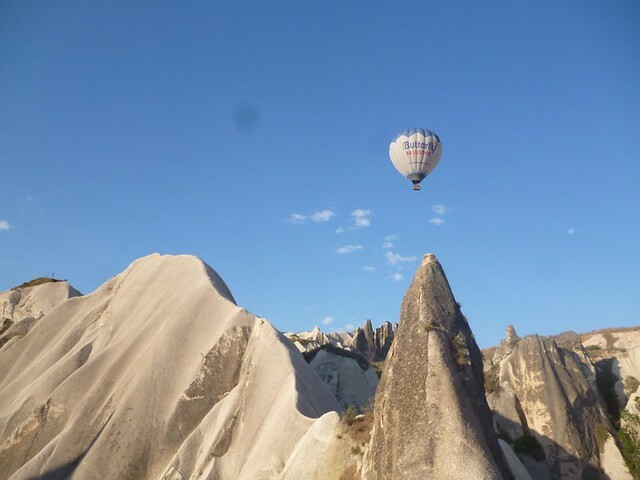 Cappadocia has many funny rock formations and cave houses. Our pilot gave us a guided tour while we floated along. Our flight was about an hour but I got restless halfway during the tour. We finally landed in a patch of grass far away from where we began. The landing was a little difficult since mom and I had to share one rope for the Landing Position. We did manage to land safely so that was good enough, I suppose. At the end of the tour, we celebrated our landing with a glass of champagne mixed with cherry juice. I depleted my champagne mix so fast that my refill was pure sparkling wine. Yummy! Every tour should end with glasses of Champagne. Seriously. PS We spent the rest of the day walking in the town for half an hour before retreating to our room for a lot of reading. This is life! 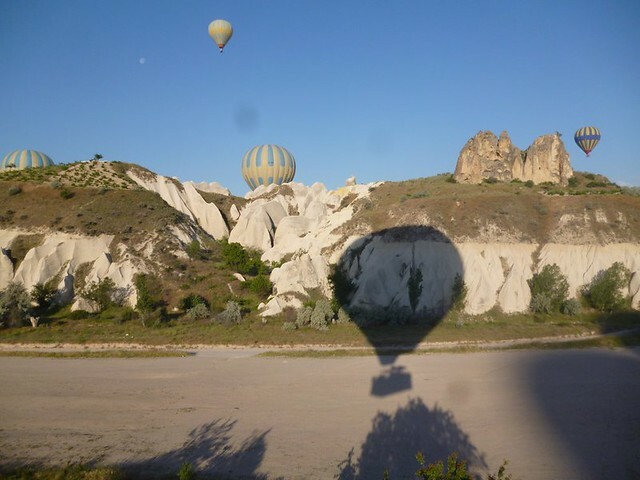 Have you been on a hot air balloon ride? 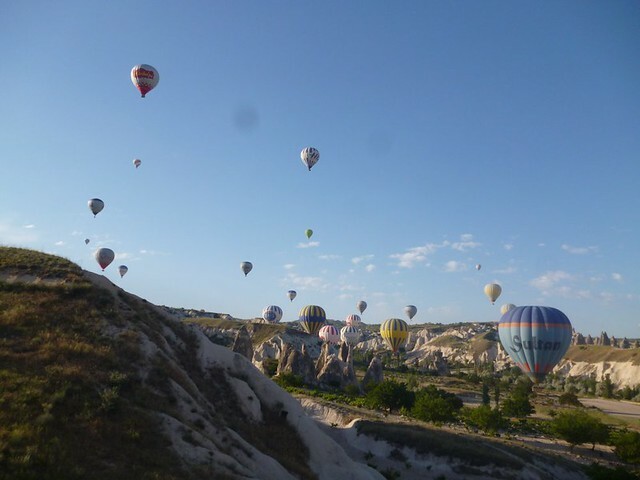 Where do you think is the best place for a hot air balloon ride? 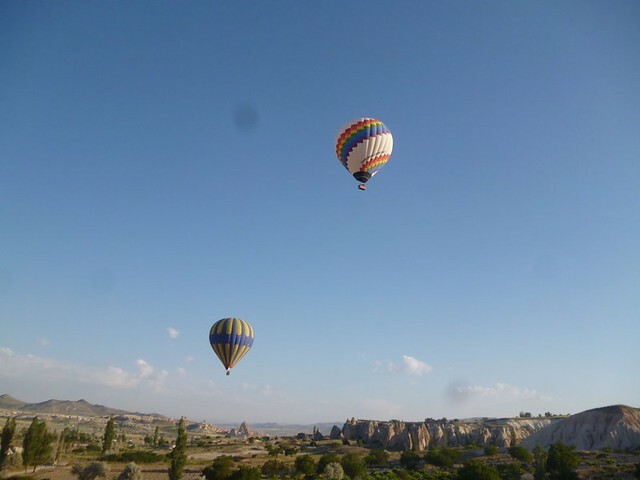 We were in Cappadoccia last summer, what an amazing place! Didn’t do the balloon ride, but it looks like a great experience:) Happy Traveling!